127 Hours is the true story of mountain climber Aron Ralston's remarkable adventure to save himself after a fallen boulder crashes on his arm and traps him in an isolated canyon in Utah. Over the next five days Ralston examines his life and survives the elements to finally discover he has the courage and the wherewithal to extricate himself by any means necessary, scale a 65 foot wall and hike over eight miles before he can be rescued. Throughout his journey, Ralston recalls friends, lovers, family, and the two hikers he met before his accident. Will they be the last two people he ever had the chance to meet? Jena Malone auditioned for a role. Incorrectly regarded as goofs: After the boulder initially lands on Aron's arm he decides to remove his backpack to see what he can use to help him get out of this situation. He pulls off the backpack from both shoulders with a fair amount of ease despite his right arm being trapped under a rock and incapacitated. However, although not shown, all he had to do was undo the buckle on the right shoulder strap. Aron Ralston: Hey. Aron here. Leave a message. Sonja Ralston: Hey Aron. Sonja here, again. I know that you're probably gonna be away this weekend. But listen, just think about we we're gonna play. Please. 'Cause we have to decide, and we really... We need to practice, okay? Anyway, it will be fun. I promise. And oh, please call mom. Please. 'Cause she worries, which you know already. Okay. Later, A., goodbye. Despite having the opportunity to see Darren Aronofsky's absolutely extraordinary masterpiece Black Swan at this year's past Toronto International Film Festival, I did regret missing out on Danny Boyle's 127 Hours. The film was one of the few to emerge from the festival with momentous Oscar buzz, and even a bit of controversy over a specific scene late in the film that was causing people to faint in theatres. The film chronicles the true story of Aron Ralston (James Franco), a recklessly arrogant mountain climber whose arm gets crushed under a boulder during a trip through Utah canyon country. With no one coming to save him, he must decide whether he will die or fight for survival. The logline and description may not sound like much, but 127 Hours delivers one of the most riveting and incredibly emotional experiences I have had in a theatre in some time. I was unsure Boyle and his crew could top their Oscar-winning work in Slumdog Millionaire, but this film improves upon it in every way possible. Because of all the talk about "the scene", the majority of people will know how the film ends well before they even consider seeing it. But everything leading up to Aron's life-altering decision is absolutely amazing and the stuff of pure filmmaking magic. 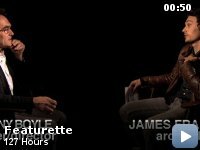 From the very beginning up until the very end, you know you are in the hands of some truly special filmmakers, specifically Boyle. Everything in the film seems to have a pulse and a life of its own, whether it is the hyper kinetic editing, the lush and gorgeous cinematography, the often epic score, the thought-provoking writing or just the general style of the film. Where other movies pay very little attention to the little things, Boyle and company seem to have amped up the quality in the majority of those areas, and made a film whose elements very much complement each other. I could not believe the short running time at first, but they pack so much in and the film moves at such an aggressively energetic pace, that you barely have time to slow down and breathe once the film really gets moving. One of the unique things that really stood out for me was the use of flashback throughout the film. Ralston spends a lot of time thinking about what brought him to this life changing moment, and it is rather interesting how Boyle handles these thoughts. They act specifically as our way into Ralston's life and his character dynamic, but they never seem to overtake the bigger picture of his being pinned by the rock. They work rather brilliantly as asides, as mere stylishly and crazily edited set pieces (a naked party in the back of an SUV is a particular standout). They are among the film's few scenes of character interaction, and help the audience adjust deeper and deeper into Ralston's mindset. It aids the film in being an even greater experience of authenticity. His hallucinations are done in very much the same way, but do not work nearly as great as these off-the-wall scenes do. The lengthy cast list may not suggest it, but the film is really just the James Franco show. We only get fleeting and stylishly edited glimpses of him at first, but after the boulder comes down, the film becomes a deeply focused, claustrophobic and devastatingly candid character piece driven almost exclusively by facial movements and reactions. 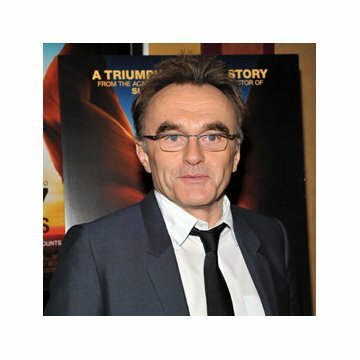 2010 has been a year of transformations by actors, and Franco's turn as Ralston is no different. The camera gets right in his face and shows us the gritty reality of his predicament, and Franco is eerily authentic in his portrayal. You can see the gradual exhaustion and desperation taking its toll on him; you can see the visible fear on his face as he faces life or death. Not many actors are able to drive a film by mainly interacting with themselves and the static objects around them, but Franco delivers in spades at every turn. Whether he is being devastatingly hilarious or dead serious, he still manages to ensure the realism and intensity of his performance never changes. You will be unable to take your eyes off this riveting portrayal at any time. While it pains me to have to point out the film's small amount of imperfections (even with the attention to detail), it is only because I cannot wrap my head around the film being absolutely flawless. This is an incredible piece of cinema, but there are a few special effects, musical and editing choices made that are simply baffling. I understand the point and logistical ideas around some of them, but some just stand out as odd. Why point out the insects that inhabit Ralston's surroundings, and then make them so CGI'ed that they look visibly fake? Why throw in the out of place tunes to help try and convey his emotions? I know I am pulling at strings, but there were at least a handful of elements that seemed out of place and made the film slightly less than perfect. It just seems these extra steps easily could have been made to make the film even more pristine. 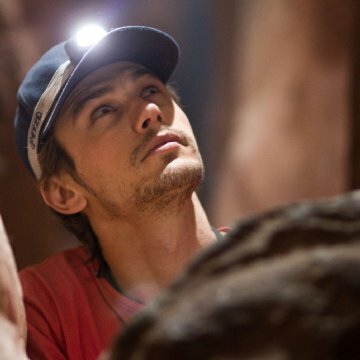 127 Hours is not just a film  it is an experience. It is only in limited release now, but I can only hope that audiences everywhere will get the opportunity to see the movie. It is an amazing movie centred around an absolutely incredible, legendary performance. Watching Franco bare his soul on-screen is practically a cleansing experience. I went in with high hopes, and left with a huge smile on my face. It is authentically emotional, and in a year merely punctuated with a handful of amazing movies amongst a sea of filth, it more than just stands out. It is quite simply, unforgettable.